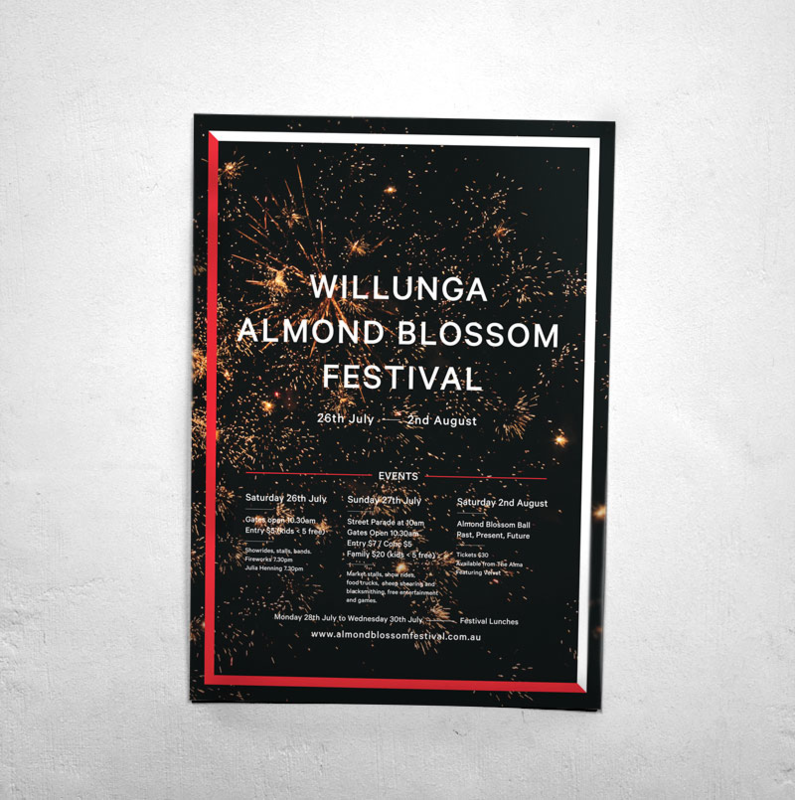 In the late 1960’s the Willunga community came together to raise funds for the build of a sporting recreation centre by starting the towns very own festival. 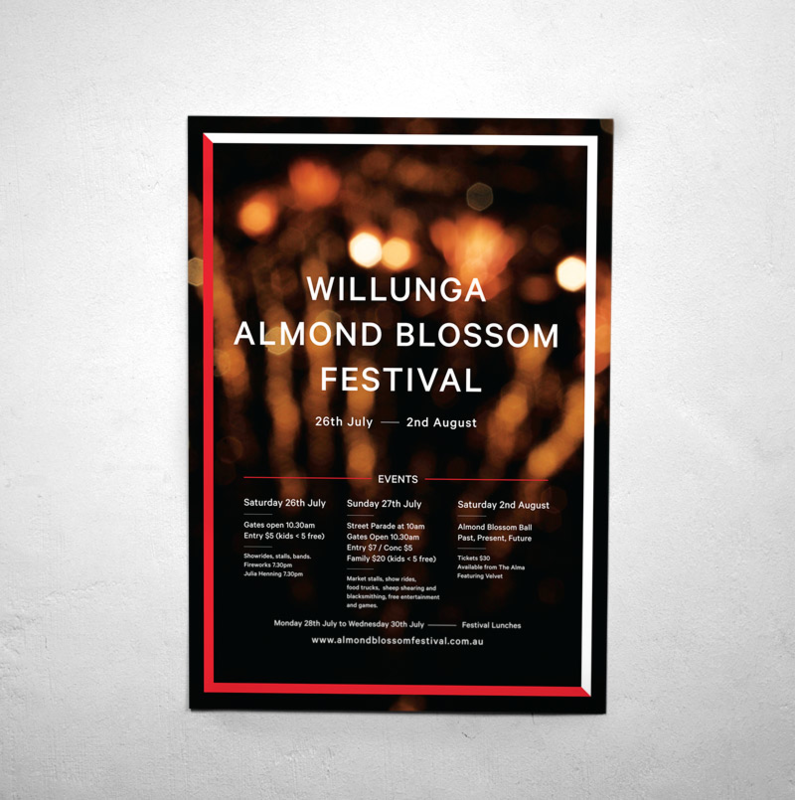 Over the decades, the Willunga Almond Blossom Festival has undergone many changes, but when asked to redesign the look of the iconic festival we took inspiration from its roots – incorporating the red and white stripes that proudly don the uniforms of all the local teams who have played at the centre over the past 50 years. 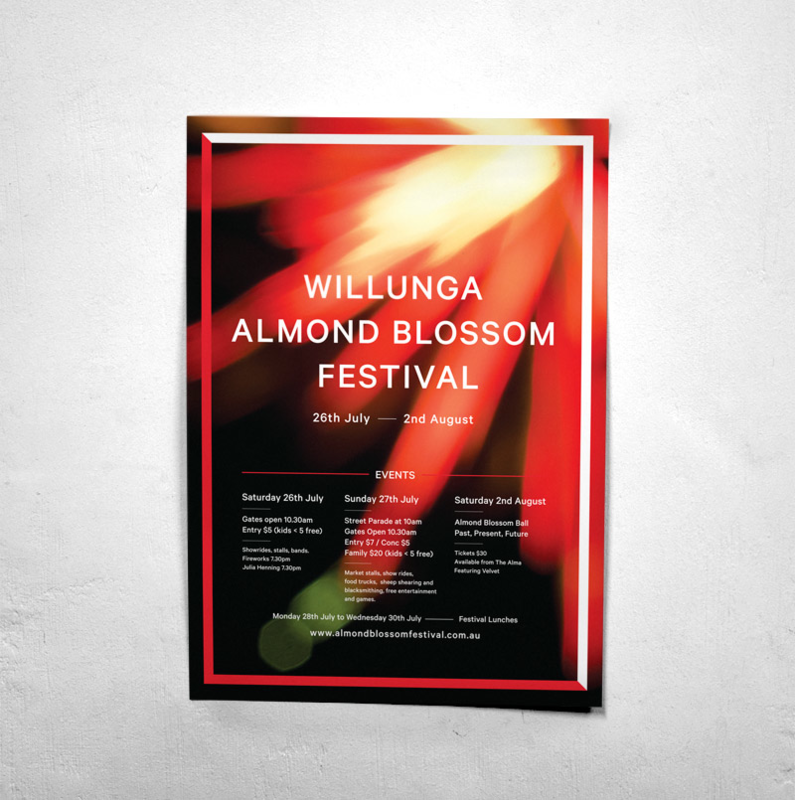 Additional event collateral introduces photography – taking abstract images from the festival itself, and using them as a representation of blossom pollen gathering in a single space – just like the Willunga community did all those years ago. Photography by Anna Fenech.